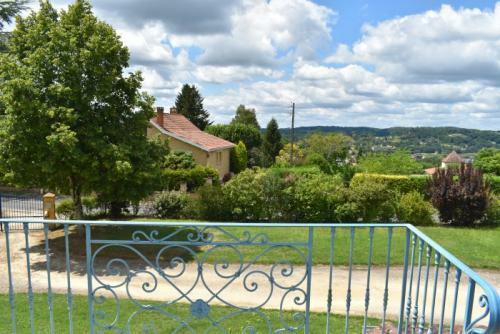 Superb architect designed house, nestled in a large garden just a stone's throw from the centre of Sarlat. Large living area, 5 bedrooms, 5 bathrooms, panoramic view and beautiful private heated pool. High quality accommodation. 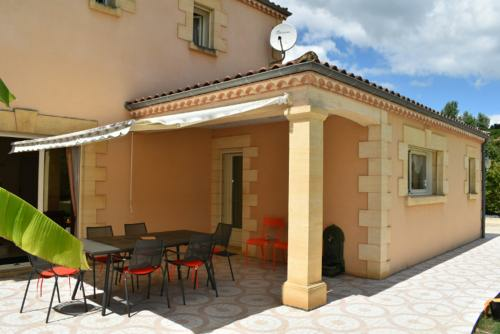 The Villa "Les Bélisses" is situated on the hills above Sarlat, the town centre being accessible on foot from the house (12 minutes walk). The villa, situated in a quiet residential area, offers a living space of 240m², set in an enclosed garden of 2850m², with fruit trees and ornamental shrubs. It proposes 5 bedrooms, each with a private shower room and toilet (walk in showers throughout) and with a private pool (a rounded form 10m x 5m, and a depth of 1.50m). With almost 250m² of surface area, the Villa Les Bélisses offers a spacious living accommodation. * a vast living room of 60m² with a sitting area set around a beautiful stone fireplace, and a dining area seating 10 guests. 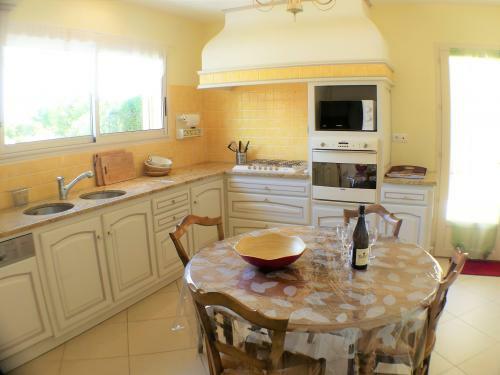 * An adjoining open plan kitchen, extremely well equipped (mains gas cooker, espresso coffee machine, microwave, oven, fridge) with a table ideal for breakfast. * a first bedroom with two single beds which can be joined together, bedside tables and wardrobe. a sofa bed offers more sleeping flexibility. * a lovely private shower room with a fully tiled walk in shower, washbasin and separate toilet. * 3 other double bedrooms can be found in the second wing of the house, which can be closed completely from the main part. Each bedroom benefits from direct access to the garden and pool via a french door. * Their three en suite shower rooms with walk in showers, washbasin and toilets offer a maximum of comfort and privacy to the guests. * the fifth bedroom, with a double bed, wardrobe space and a balcony overlooking the front of the house. * this bedroom benefits from a wonderfully spacious private bathroom, with corner sunken bath, separate shower, and double washbasins. La Villa les Bélisses has WiFi access throughout, as well as satellite TV. Its central under floor heating, and large fireplace make it particularly attractive for a rental at Christmas and in low season. All of the shutters are electric and remote controlled. 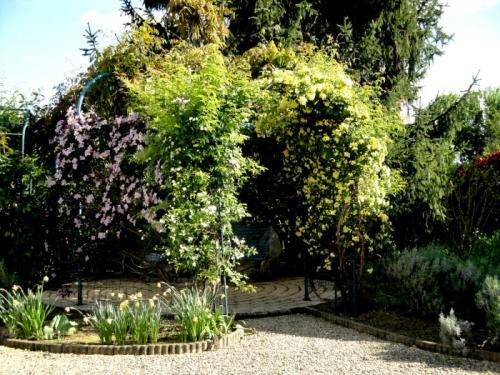 * The enclosed garden of almost 3000m² is peaceful and beautifully planted, and completely private - difficult to believe that the centre of Sarlat is so close! Every room on the ground floor has direct access to the garden, ideal for summer living. 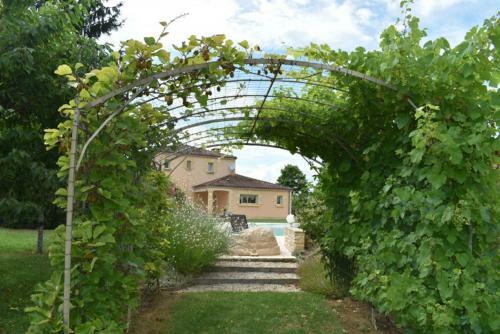 The garden is completely fenced in, and has an electric gate with an interphone for your privacy. * The large terrace of 70m² is equipped with a large table and 10 chairs, allowing al fresco lunches, and you can enjoy an evening aperitif on the sofas and chairs. * The pool is reserved for your private use. Measuring 10m x 5m, it has a rounded form and a depth of 1m50. Access to the pool is via two steps which completely surround the pool, allowing you to cool off as in a jacuzzi! For the comfort of our guests the pool is HEATED from May to Sept.
* Covered parking for one car. Enough parking space within the grounds for an extra 4 cars. 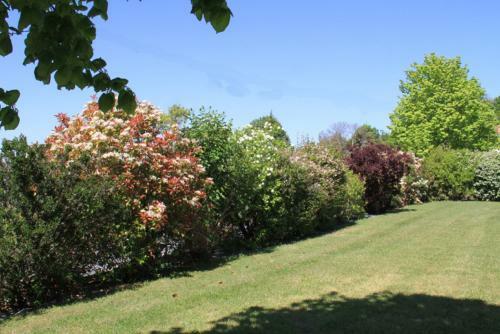 * Public footpaths lead from the rear of the house, ideal for morning walks or runs. 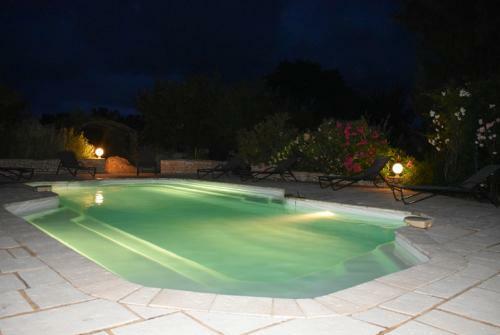 Private pool : 10mx5m, 1,50m deep (heated from may to september. 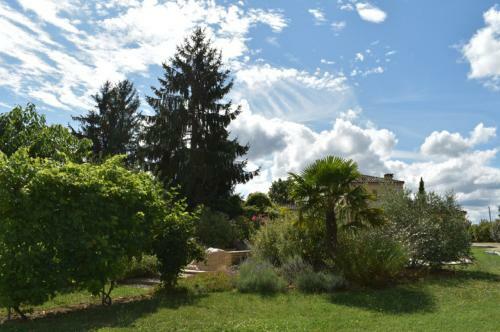 The Villa Les Bélisses is ideally placed for discovering all the well known sites of the Périgord. Situated on the hills above Sarlat La Canéda, a town classed as a World Heritage site by UNESCO, you will have an almost endless choice of caves, chateaux and beautiful villages to visit. The historic centre of Sarlat, with its shops, restaurants and superb colourful market on a Saturday morning, is accessible on foot in just 10 minutes via a pretty footpath. * heating in colder months (100€/week). * The tourist tax, transfered in full to the village. The bed linen and towels can be let at the extra cost of 20€/guest. A compulsory cleaning fee of 200€ is payabale on entrance day.